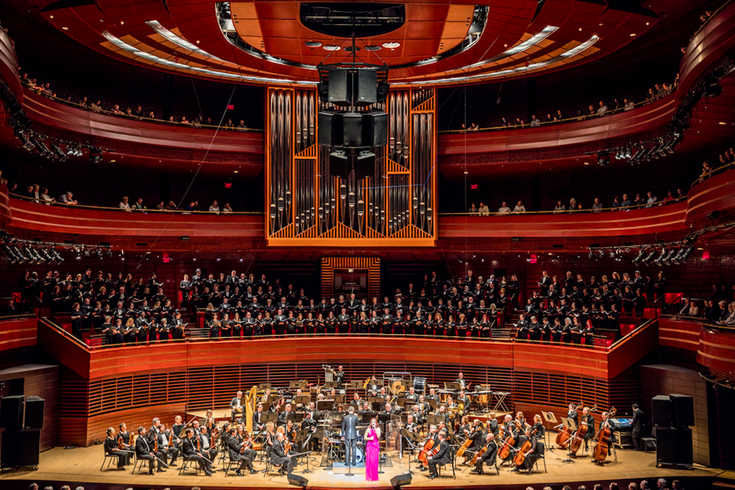 Three Broadway stars will join the Philly POPS and conductor Todd Ellison for "Best of Broadway" at the Kimmel Center's Verizon Hall on March 9-11. Favorite songs from "My Fair Lady," "Cats," "Wicked," "A Chorus Line," "Beauty and the Beast" and additional Disney classics will be performed. The three guest artists from Broadway are Susan Egan, Debbie Gravitte and Christopher Sieber. Egan received both Tony Award and Drama Desk nominations for Best Actress as the original Belle in Disney’s "Beauty and the Beast." Gravitte won a Tony for her critically acclaimed performance in "Jerome Robbins Broadway," and Sieber has starred in Tony-nominated productions like "Monty Python’s Spamalot" and "Shrek the Musical." Tickets for the show start at $35. On Friday, March 9 there will be an 8 p.m. performance. On Saturday and Sunday there will be 3 p.m. performances. Currently, the Friday show has the most seat options available.